With many years of experience in the building and design industry, ASK Cladding and Render is here to help you with all your rendering and cladding needs. With a particular eye for detail, you can rest assured that your project will be completed to a standard that is second to none. We can help you choose a finish and colour palette that is customised to your taste and style, and applied with the finest craftsmanship. ASK Cladding and Render will go above and beyond to provide you with a long lasting and high quality finish, ensuring you are happy every step of the way. High End Plastering has been offering #plastering services throughout the Mornington Peninsula since 2008. Due to the level of service and the quality plastering services provided to its builders and customers, High End Plastering has gone from strength to strength and continues to grow, with it's main motto being ''Building Trust and Reputation with Quality works'. With over 15 years experience, VicPlastering are experienced and fully insured Plasterers. Dedicated to providing you with a professional and cost effective service. We have an established reputation for on-time and on-budget performance, quality workmanship, and most importantly, satisfied clients. 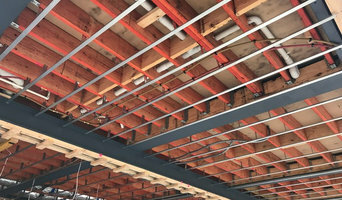 Whether your construction needs are large or small, involve new construction, water damage or cosmetic renovation, you can rely on VicPlastering. Using the latest and highest quality materials at the lowest possible prices to meet your expectations. For an obligation free quote you can call Dean on 0402 422 541. 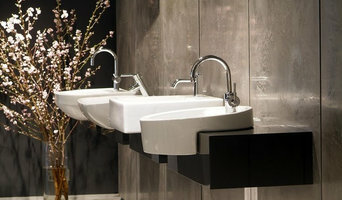 Bishopdecor are recognized leaders in the sourcing and application of Waterstone, Venetian Plaster,Polished Plaster, Marmorino, Faux Concrete & Stone, Travertine & Rustic Wall Textures. Professional plastering linings and finishes for high end interiros. We are a business that offer the best quality of rendering solid plastering, with our unique designs internally and externally we can transform any home to a unique one. Our marmorino products imported from Italy have been proven to impress any one whether it is a polished or a marble wall or granite style. We are a commercial plastering company that specialises in stud framing, ceiling systems and all aspects of plastering. We also cater for compress sheeting & ceilings, alucobond architectural, timber framing, cavity sliders, timber pelmets and more. Vision Ornate Plaster Pty Ltd specialize in custom plaster moulds & heritage restorations. Generally if a plaster mould needs to be reproduced, restored or even designed from CAD, we can produce the desired mould and install as well. A unique, all in one service. We work on ceiling roses, ceiling panels, Plaster domes, columns and arches. We have made our name in restoring plasterworks in Melbourne's East end theatres and countless heritage listed residences. The owner Ben Belzunce is the principal mould craftsman and installer. Old Melbourne Plaster is an Australian owned company with an established reputation as a quality supplier and installer of bespoke plaster products for homes, offices and public buildings. We are passionate about the tradition of plastering and while some crafts are being eroded by the conveniences of modern technology, Old Melbourne Plaster provides hand crafted, personalised finishes. Rendering can thoroughly improve the look of your Ormond, Victoria home by concealing tired and worn walls, cracks and dated brickwork. Textured and coloured render also allows you to try a variety of effects to match your architectural style without the need for painting. Better still, rendering can add to the durability and insulation of your home, and help prevent water damage. Internal wall and ceiling plastering, on the other hand, provides a finished look to any interior, with plaster also being used to create decorative mouldings. So whether you’re building from scratch, renovating or restoring a heritage house, browse our directory of Ormond, Victoria plasterers, renderers and manufacturers of plaster products for creative solutions for walls, ceilings, columns, arches and cornices. 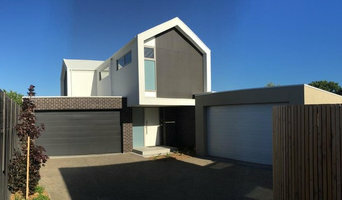 What can a renderer and plasterer in Ormond, Victoria do? 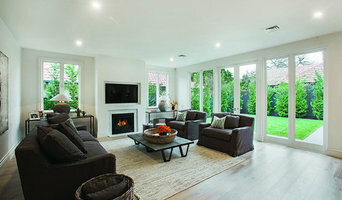 Find Ormond, Victoria rendering and plastering services on Houzz. Scroll through this page to find rendering and plastering professionals in your area. Just enter your suburb in the top field to narrow your search. Get contact information or message professionals directly so you can ask about rates, and read customer reviews.